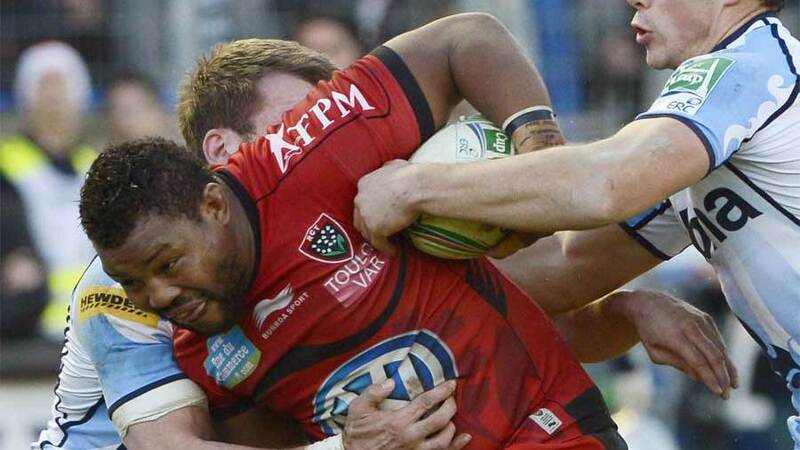 Steffon Armitage may still be in with an outside chance of being picked for England despite the RFU's hardline stance on not picking players based abroad after Stuart Lancaster told him the door "was not wholly closed". There had been increasing calls in the last fortnight for the position to be relaxed with a number of former players and pundits urging a rethink. However, Ian Ritchie, the RFU chairman, reiterated there would be no exceptions to the policy. Earlier this week Lancaster visited Toulon to speak with Armitage and his brother, Delon, and while all he could do was explain the existing policy it was clear he was keen to keep the lines of communication open. "Stuart said that the RFU rules are probably not going to change, but that the door is not wholly closed," Steffon Armitage told the Daily Mail. "Of course I would love to play for England again. I've never given up on that. At least I know now that I am not completely out of people's minds." The Independent quoted an unnamed RFU source as saying: "Stuart wanted to talk to them face to face, to hear from them how they saw their careers developing and to tell them that the door wasn't completely closed. If there are a number of injuries in one position in the run- up to the World Cup, they could come under consideration." The mixed messages will only serve to further muddy the waters. Earlier in the month England coach Graham Rowntree was unambiguous in his stance. "Our stance is quite clear - we want to promote those guys playing in England for obvious reasons," he said. "While they are playing well, we're quite content with that. It's Steffon's decision completely and I'm comfortable with our stance."